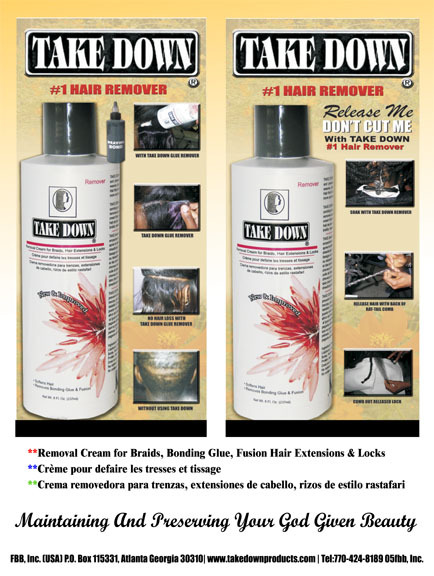 Take Down Remover Cream is an amazing super detangler and dreadlock remover product. For Johannesburg salons, this is creating much interest and amazement. To detangle very matted tangled hair or take down dread locks should not give one nightmares or headaches like several many people complain. Knowing what works and what does not makes life easier and lots of fun. Several people are under the impression that detangling severely matted tangled hair or removing dreadlocks without cutting your hair is not possible and therefore, they decide to get rid of the style. Or shave their matted hair off completely. Several other people are of the opinion that very knotted tangled hair or dread lock removal will make them cut the hair that they spent a lot of years to grow. However, with Take Down Remover Cream, you are set for a wonderful moment with your dreadlocks or very matted hair. As generally opined, dread lock removal should start from the ends while the completed parts could be pulled back easily. 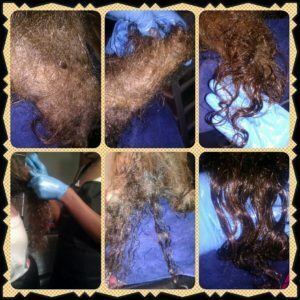 Whereas with very matted tangled hair detangling should start by picking strands of hair out of matted knotty clump. You can cut a small bit at the end of the dreads to start loosening the dreads one by one, but without using the Take Down Remover cream hair loss is imminent. Both detangling of matted hair and dreadlock removal are tedious jobs to embark upon. And they may take two days to two weeks because it is a slow process to complete. Merely thinking about the time it takes to detangle knots or take down dread locks this way could turn one off, thereby robbing one of the glamorous look that wearing your hair puts on you. Nowadays, the market has been saturated with products promising to take down dread locks d hair and detangle severely matted hair without having to lose your hair as a result of breakage. In the world of detanglers and dreadlock removers, Take Down Remover Cream stands out among these products as a result of value-added qualities it has. It will assist in minimizing breakage by softening and moisturizing while effectively detangling. It is beneficial for all hair types and textures. Even if you have colored, chemically treated hair. It reduces the susceptibility of your hair to more breakage. It penetrates deeper into the hair to make it softer than other detangler/removers. It detangles the hardest or tightly knotted matted tangled hair. The hair becomes more manageable. It prevents breakage by softening and moisturizing the hair. It eliminates pain that accompanies combing out knots and clumps of matted tangled hair. It reduces time to detangle or take down dread locks. It makes growing dreadlocks less discouraging, since it is easier to remove. It is noteworthy to say that you should not apply shampoo on very matted tangled hair. Also, do not attempt to remove all the dreadlocks at once; but select a certain amount you can remove each moment until you are totally done. You may need to use as much cream as necessary to get quicker and best result. 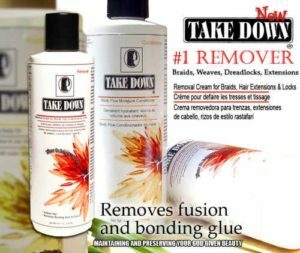 If you are thinking of a super detangler and dreadlock remover, think of Take Down Remover Cream! When the reggae music made a big stride during the 1980s, the dreadlocks used by the world famous singer and lyrist Bob Marley caught the imagination of the audience world over and there was a rush to wear dreadlocks. This became most popular among the African-Americanized people but white people did not remain far behind. Especially the people who raise their voice for anti-globalization, and the activists who support the cause of environment-protection find dreadlocks to their choice, a symbol of registering their protest against the possible evils of globalization and environmental pollution. Back in 1960, dreadlocks were real hip. The hairstyle was introduced as a part of Rastafarian culture. Nevertheless the real use of dreadlocks can be traced back to centuries ago among others with the civilization of Maoris, Maasais, Pakistani’s Sufi malangs and fakirs. As fashionable as dreadlocks are, it is recognized that caring for the dreadlocks is not easy; the matted, twisted, entangled hair makes it impossible to treat the hair in usual way. Dreadlocks cannot be brushed nor combed. 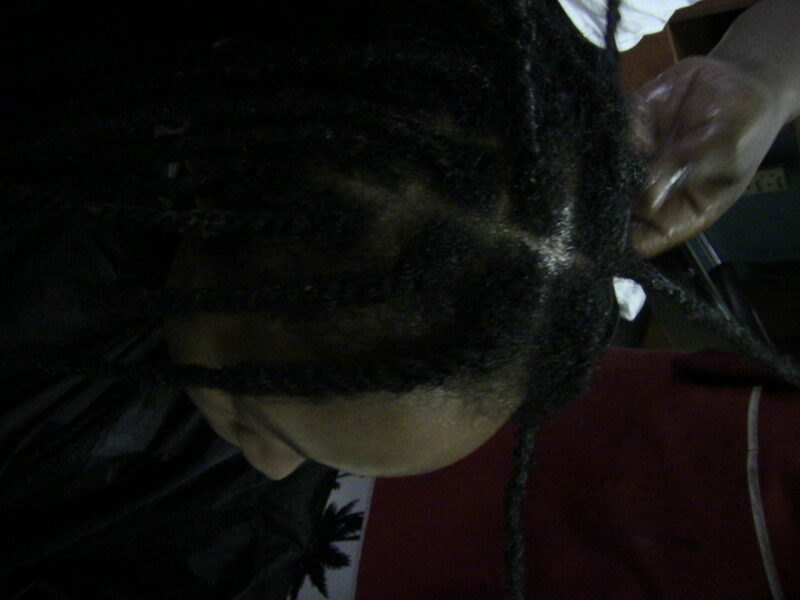 Generally, the problem in a person wearing dreadlocks is how to maintain the dread knots when new hair grows. 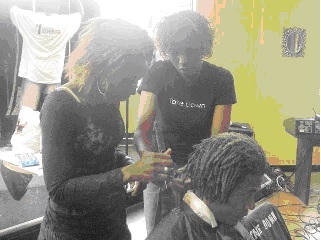 Naturally grown hair is not intact to the twist and makes the dreadlocks look untidy and frizzy. Many beauty tricks suggest using bee-based wax to take care of this problem: a classic mistake. The usage of bee-based wax in inconsiderate amount only makes the hair ceased to make the dreads budding appropriately. Bee-based wax does not permit your hair to naturally lock your hair tightly. Wax can only be used for short term occasion such as tidying up your dreads for a party. For daily use, dreadlocks washing can be taken care with hair products containing the essence of Aloe Vera and lime juice. Such product can easily wash your dreads. For more natural way, the appliance of fresh Aloe Vera directly on your dreadlocks or sprinkles of lime juice to your scalp works as well. To maintain your maturing dreadlocks, daily rolling is the simplest procedure to do. From the top to your length of your dread, put a dread in your palm and roll it dynamically from side to side. Next, put the base of your dread between your thumb and forefinger then press them onto your scalp and roll it constantly in one direction roll. Never change the direction you are rolling. Last but the most annoying problem a dreadlocks wearer commonly has is the itchiness of the scalp. This is a usual problem a person with dreadlocks has to face since the matted dreads lock in the heat between the hair and the scalp. A professional beauty product provides cooling spray with peppermint essence mixture to combat the trouble. Nevertheless, if you are a more back-to-nature of a person, you can make your own scalp relief spray by using cider vinegar sprayed neatly onto your itchy scalp. Let the vinegar stay for 15-20 minutes on your scalp, then thoroughly rinse out. You may not like the smell of it, but cider vinegar really helps the itch a lot.